I'm constantly using these around the house and during the Holidays they are necessary! Head over and Save Up to 65% Off Select Command Picture/Poster Hanging Strips and Hooks. 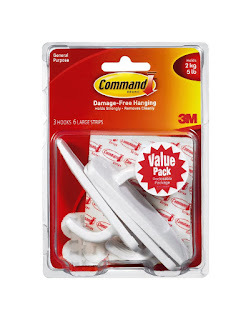 For example the Command Large Plastic Hooks, 3 pk is $5.73.